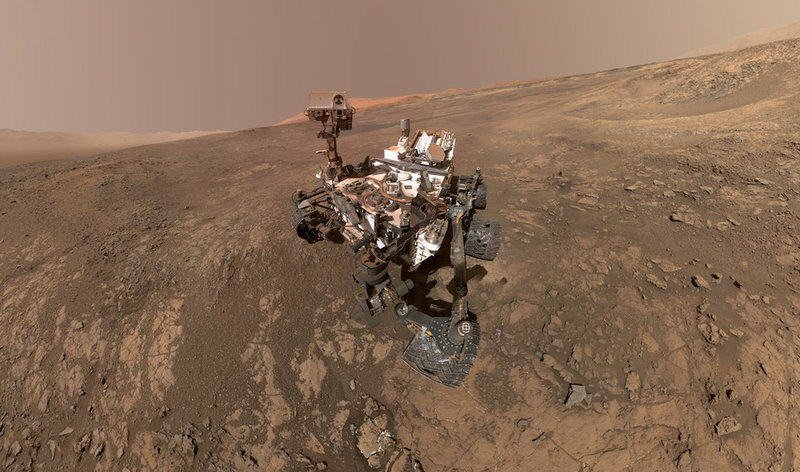 NASA is hard at work on their new Mars 2020 rover, which is intended to make planet-fall in early 2021. Bundled with this rover is an extra added bonus, of a small exploration-ready helicopter! The Mars Helicopter Scout (MHS) will mark the first time a human craft has flown on another planet. 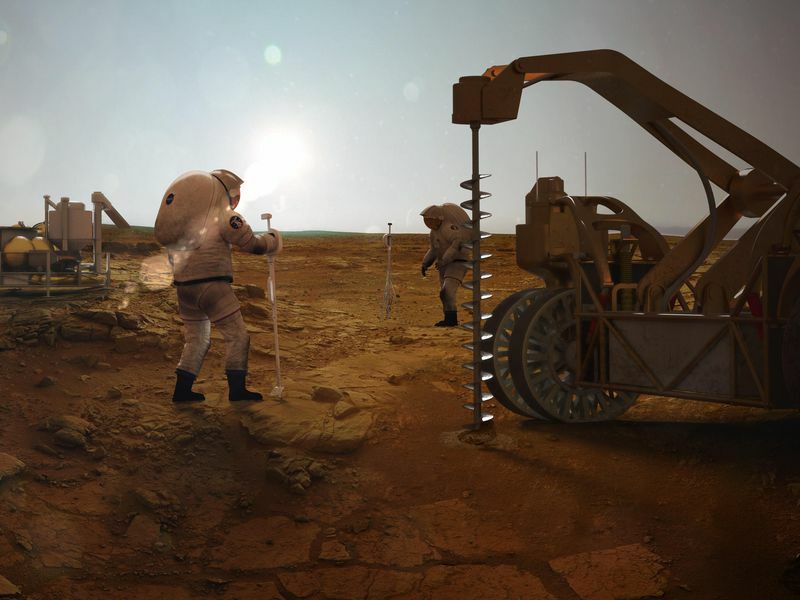 The potential for exploration is hard to overstate – while the rover programs have been tremendously successful, they are hampered by careful and deliberate navigation of difficult terrain, one inch at a time. An airborne solution suddenly releases scientists from that 2-dimensional constraint, and will open new avenues of research and discovery. 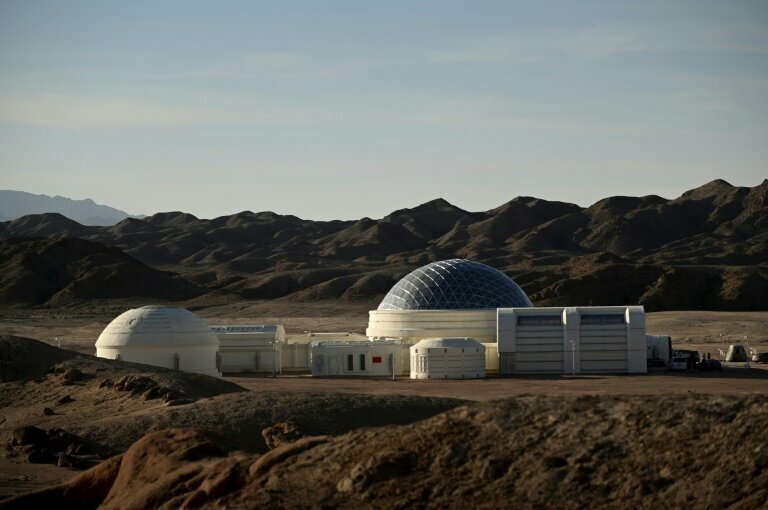 Of course – it also presents technical and AI-related challenges, because the copter must be able to maneuver autonomously in large part, due to the communication delay with the red planet. What, you may ask, of the atmosphere? Well, that’s a great point! Mars has an atmosphere which is only 1% as dense as that of Earth, but it turns out that is still sufficient for the proposed little copter to take flight. It simply requires blades which are larger, more rigid, and which rotate quite a bit faster than an Earthly counterpart. For more excellent detail, see NASA’s 10 things article all about the copter! 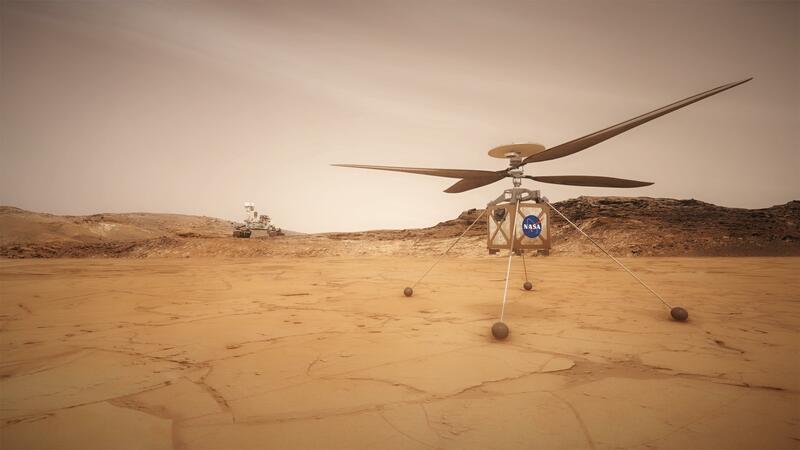 * The Mars Helicopter’s rotors measure 4 feet wide (about 1.2 meters) long, tip to tip. * At 2,800 rotations per minute, it will spin about 10 times faster than an Earth helicopter. * The blades are much stiffer than any terrestrial helicopter’s would need to be. * The helicopter will weigh just under 4 pounds (1.8 kilograms). The time has finally come for SpaceX to fly their crew-ready Dragon capsule on the first Demo mission for their client, NASA! This tremendously important milestone marks start of the next important phase in the effort to return American capacity for human spaceflight, which has been lost since the end of the shuttle program in 2011. It was several years after the end of the famous shuttle missions that NASA realized the way forward would very likely be with private enterprise, and wisely awarded two contracts, to Boeing and SpaceX, for them to develop crew-rated craft and systems to safely bring astronauts to the ISS and return them safely to Earth. Of course, NASA has a long history of human space travel, and some very reasonable associated rules, regulations and certifications that must be achieved in order to qualify a vehicle for that task. Saturday’s flight will be a critical next step in that certification process, and if all goes well, it may result in a crew mission taking place in July of this year (though more likely closer to December). 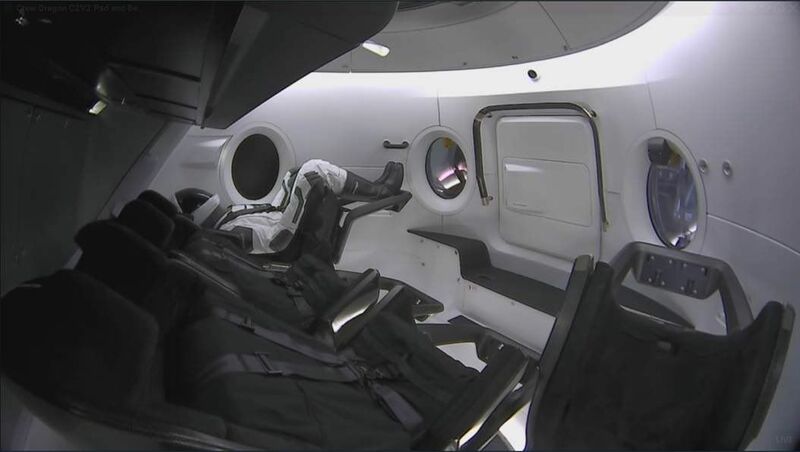 While this mission will not have any humans aboard the craft, it will feature a mannequin in the stylish SpaceX flight suit, bristling with sensors to capture as much information as possible about the experience of the flight. The name of this figure? Ripley. Nice. Affordable spaceflight is enabling a new golden age of mankind going to the stars. This has been possible in tremendous part due to the extremely important innovation by SpaceX of reusable boosters which can land after launch, as we all know. As if this was not enough, a newly emerging trend in the launches we have been seeing is that of rideshare, where multiple companies launch their projects on a single flight, thereby further reducing the cost to each organization. Tonight, SpaceX has a launch planned on of one of their workhorse Falcon 9 boosters, and this will be the third flight for this proven craft. Previously it flew the Iridium-7 mission in July 2018 and the SAOCOM 1A mission in October. This mission will feature three payloads, arguably the most exciting of which being an Israeli lunar lander! 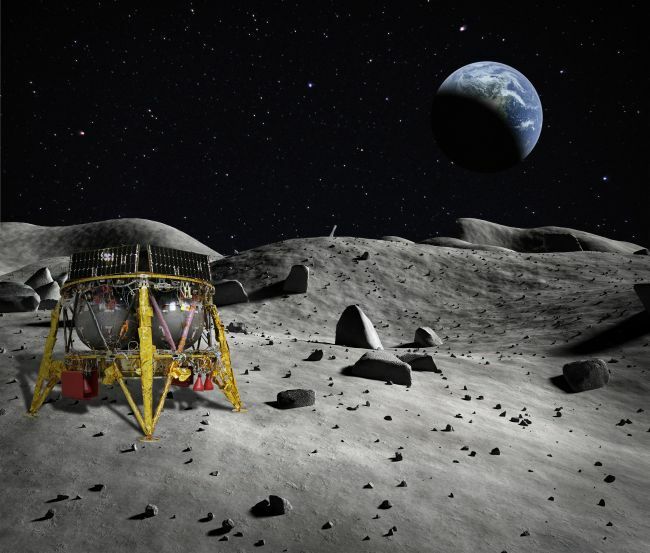 The Beresheet robotic lunar lander is a joint project between SpaceIL and Israel Aerospace Industries, and if successful will make Israel only the 4th country ever to land on the moon – ranking them among China, Russia and the United States. After the successful launch today, the craft will undergo an 8 week journey before landing on the lunar surface. In Hebrew, ‘beresheet’ means ‘in the beginning’. The other payload on this ride share launch consists of the PSN-6 communication satellite from the Indonesian company PT Pasifik Satelit Nusantara as well as a U.S. Air Force satellite code named S5, intended to assist with identifying orbital debris which is an increasing problem. The launch is scheduled for 8:45pm Eastern time, February 21st, from Cape Canaveral Air Force station (SLC-40), with a planned booster recovery on everyone’s favorite autonomous robotic droneship, Of Course I Still Love You! You will be able to watch the launch live via the regular SpaceX production (embedded below) or on the SpaceIL Facebook page! SpaceX – Starting That New Year Right! After a little hiatus around the holidays – always a packed time – the Gazette is back to bring you space news and 4th planetary highlights to help you make your colonization plans! This post doesn’t come to you with very much time to spare, but SpaceX is at it again, this time with their first launch of 2019 nearly upon us! It’s another landmark flight for the disruptive upstart company, as it will mark the 8th and final launch of this important contract to place 75 Iridium NEXT satellites (numbers 66-75 on this round) into orbit. from Vandenberg Air Force Base, pad SLC-4E, with recovery planned by autonomous drone ship Just Read the Instructions. So – set your alarms, and get ready for the first of many amazing launches for this new year! Check out the Press Kit for more details about tomorrow’s planned launch, and of course the excellent mission patch! 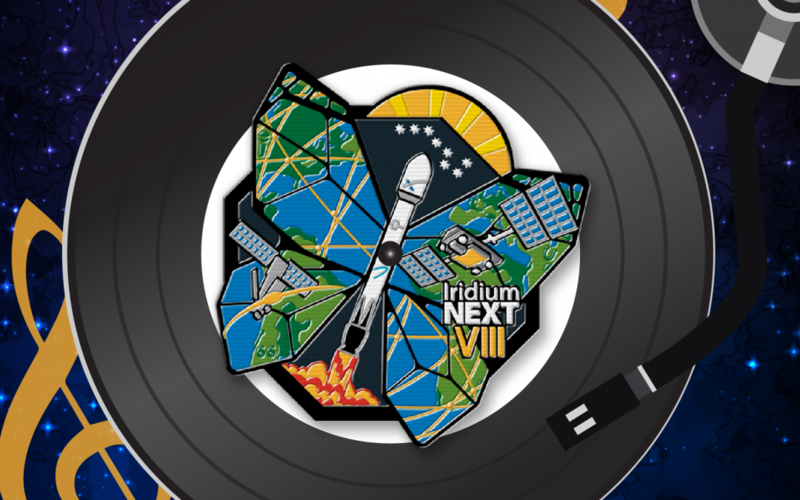 And Iridium apparently put together a Launch Soundtrack – enjoy! 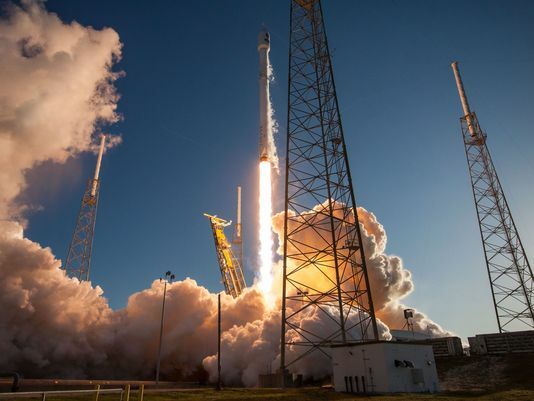 Author martianjoePosted on January 11, 2019 January 11, 2019 Categories RocketryLeave a comment on SpaceX – Starting That New Year Right! A lot of Mars news has been coming out over the past few weeks, fellow red planet enthusiasts, and we are certainly behind in discussing it! 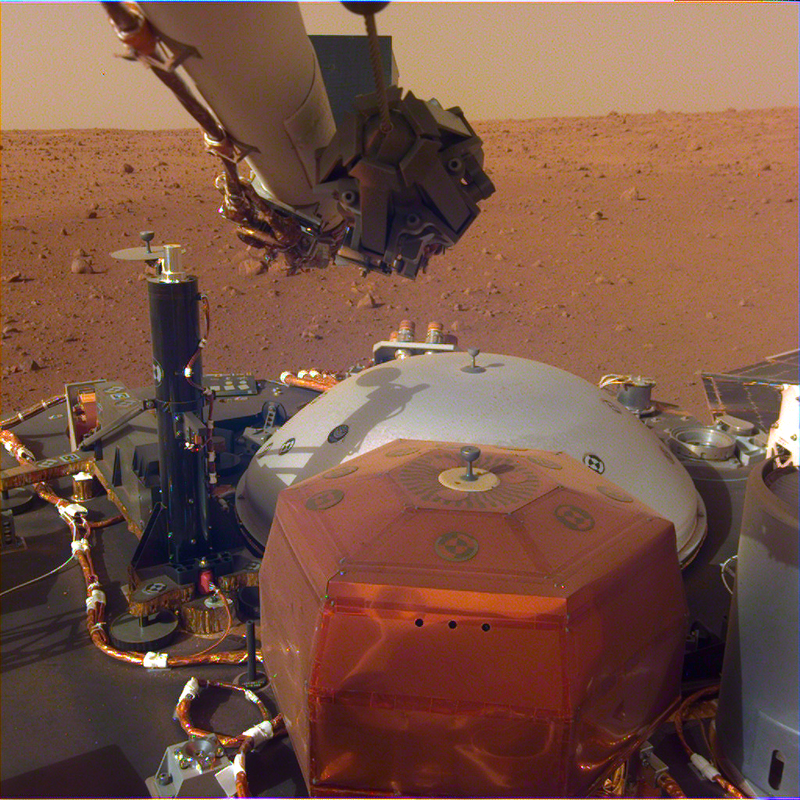 Suffice to say, the successful touchdown of NASA’s InSight Lander on November 26th has opened up a new era of science on our brother world. Along with a ton of cool pictures, what really is exciting is the first even audio recording of the martin wind. Behold! After a handful of weeks without a launch, SpaceX comes roaring back (as they are wont to do!) with a pair of launches in quick succession, from opposite sides of our fair country. The first of the series is slated for Thursday, November 15th at 3:46pm from the historic pad 39A at Kennedy Space Center in Florida. The payload of this first launch is Qatar’s Es’hail 2 satellite, which is designed to improve television service across the Middle East as well as supply amateur radio capabilities for Brazil and India. The block 5 booster B1047 which is powering this launch is slated for landing on the Autonomous Drone Ship Of Course I Still Love You, which is in the Atlantic poised and ready for action. Not to be outdone by themselves, SpaceX has another launch scheduled on November 19th from Vandenberg at their new SLC-4E pad. This launch, dubbed the SSO-A mission, will be remarkable, as it will be the first time in history that a rocket has been reused three times! The booster B1046 will carry what is being called a ‘rideshare mission’ into orbit, deploying more than 50 satellites from at least 17 countries. Included in the pile of technology are two SkySat high-resolution Earth Imaging devices, a middle school science project, the German Eu:CROPIS satellite designed to investigate crop growth in alternate gravity situations, ITASAT-1 from Brazilian Instituto Tecnológico de Aeronáutica and plenty more! While SpaceX was recently certified to re-land rockets at Vandenberg, a range conflict this time around means that they will likely rely on Just Read the Instructions, which is being made ready to depart port and get into position for another flawless booster recovery at sea. Check out the exhaustive and impressive list of rideshare equipment over at NASA Spaceflight.com! And enjoy these upcoming two launches! Author martianjoePosted on November 15, 2018 November 15, 2018 Categories Rocketry, ScienceLeave a comment on Two SpaceX Launches Incoming!